Ok. 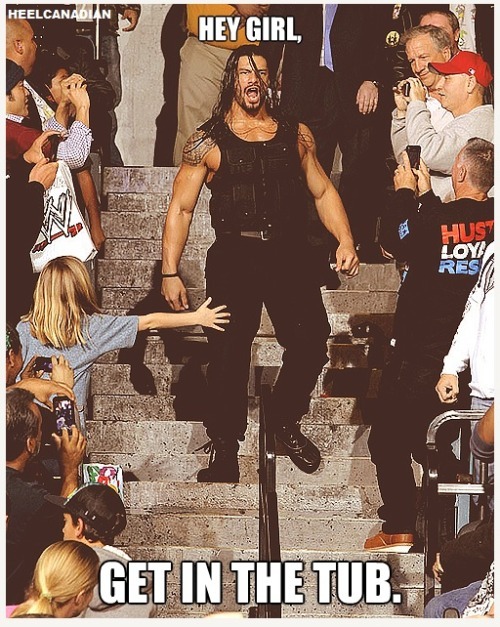 Does anyone understand how the "hey grrl" roman reigns memes started? Best Answer: I and a few other wrestling fans commented on how The Shield's handheld cam promos made them look like horny guys from a boyband... I guess the comments caught on and it kicked off other related memes. Because all their promos were taken with a handheld video cameras. As in “#selfie,#no filter #justwokeup” yaknow. Anyway a few wrestling fans made fun of that and other people took it up. Jehovah's witnesses, Jesus' reign in heaven started in 1914 but not until after Armageddon? Romans 5:21 How does grace reign in your life? Top Hollywood Film Makers are starting pro Roman Polanski Petitions. How pathetic is that? will you sign it? Is this the kind of "Change" America voted for? Does Christian's 2 day WHC reign prove that Vince McMahon doesn't have faith in him? DeAngelo Williams vs Pacman Jones? Cyborg vs chyna who would win?